New back pack and flip-flops! I can't believe my eyes! Look at our new bookbags! I love my new backpack! He doesn't know who Spiderman is, but loves the backpack! Yesterday we passed out 89 backpacks sent from people in Licking Valley Church and Utica Church to the school kids in Peredo. What a fun day at school it was. We should have waited until the end of the day because the kids were so wound up afterwards! The teachers and principal enjoyed helping hand them out and they all received a satchel bag too. Thank you all so much for showing God's love through back packs! 89 kids in Haiti say Mesi (thank you)! 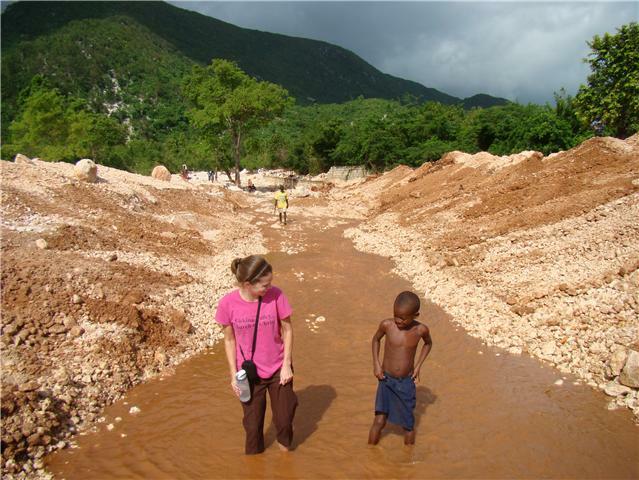 To learn more about supporting the school kids in the village of Peredo through the mission Haitian Christian Outreach, go to www.haitianchristian.org.